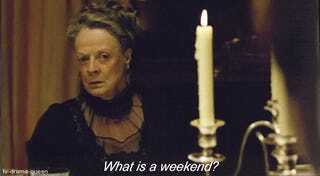 Surely none of us are members of the landed gentry so we all know what a weekend is; and what to do with one. So what are your plans for the weekend? On Saturday there's a special event about chocolate at the National Museum of the American Indian so we're going to head down for that and maybe take in a bit of the Kite Festival on the grounds of the Washington Monument. Then on Sunday, it's out to the suburbs to shuffle seasonal stuff in and out of storage and do a little shopping. Maybe take Mrs. Hatrack down to Vienna for some good Mexican food.